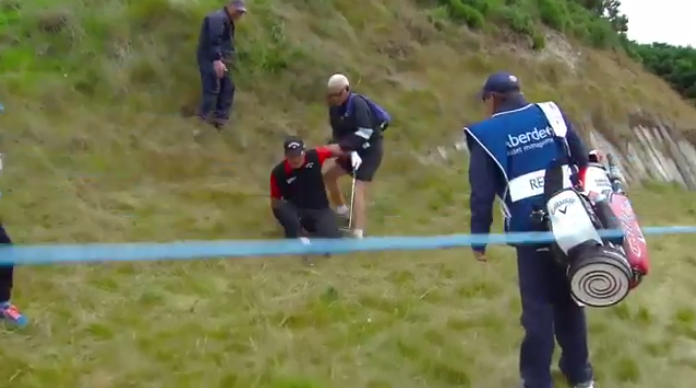 Watch Patrick Reed lose his footing and make a graceful “fall” down the side of a hill during the Scottish Open. Patrick Reed enjoying all the challenges of links golf. He paused for a moment following his shot out of the hillside fescue at Castle Stuart as if to warn himself that the trek back to the fairway was a tricky one. He took only a couple steps before starting to tumble and instead of losing all control of his body, Reed kept it cool during the fall and used his tuccus to slide and avoid embarrassment all together. 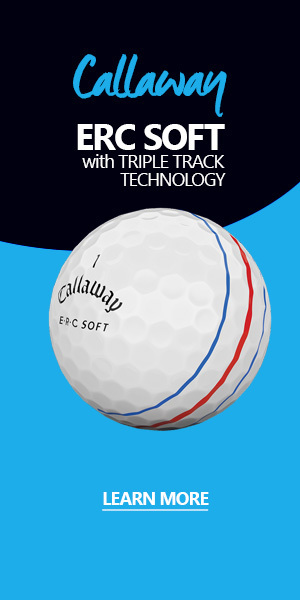 I would suggest that the slide was more impressive than his scoop-push shot.